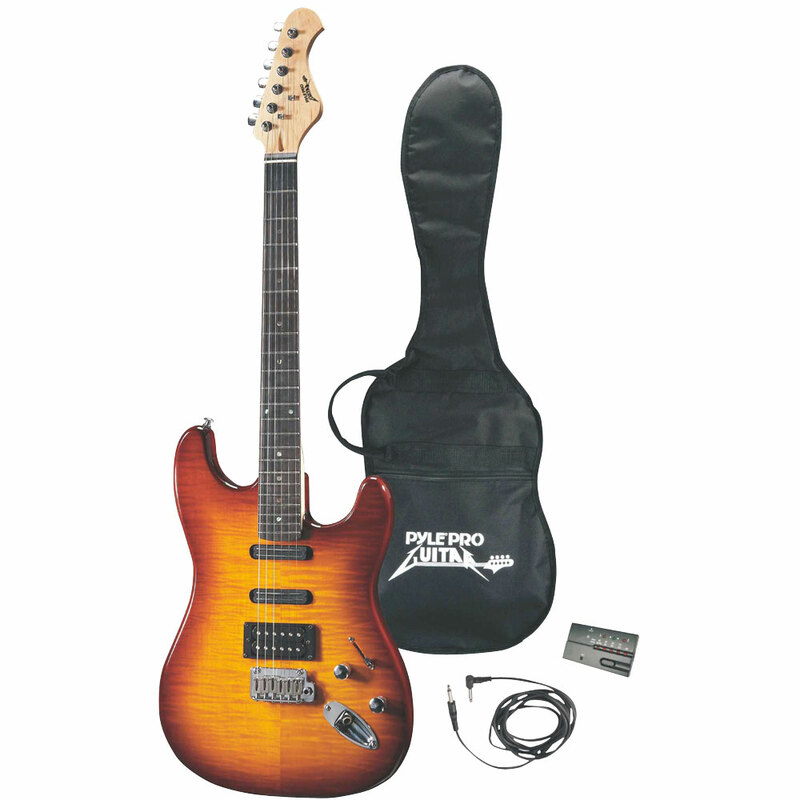 Rock hard with this new deluxe professional guitar from Pyle This solid-body guitar is constructed from maple, with a rosewood fingerboard and maple neck. Chrome die-cast machine head tuners, bolt-on neck, and volume and tone controls. Equipped with one humbucker and two dual-coil single pickups and a five-way selector switch so you can achieve a unique tone. 25.5' scale, 22 frets. Includes a protective gig bag. Sound like a pro with Pyle Pro. Color: sunburst.